I've always wanted to test my mettle when it comes to Build mode, but I've never really had inspiration. Then I saw Larsson1970's American Way 96. 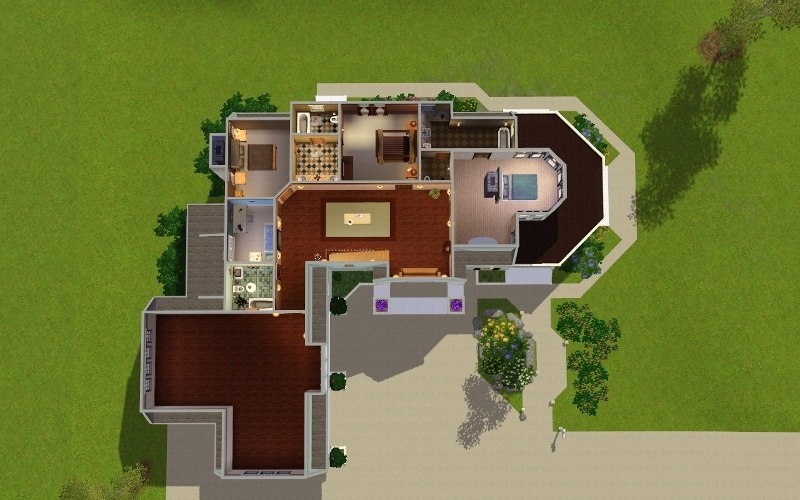 So, with a slightly larger, true-to-life floorplan, I used all the skills that I have learned in the year since I first held The Sims 3 in my arms. 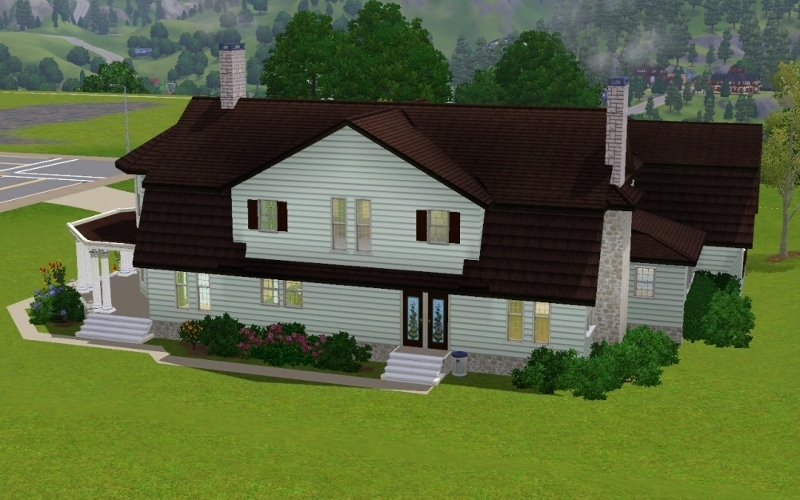 Without further ado, I present to you "Mint Farmhouse"
The home is completely furnished, save for the attic, the function of which I've left to the player's discretion. 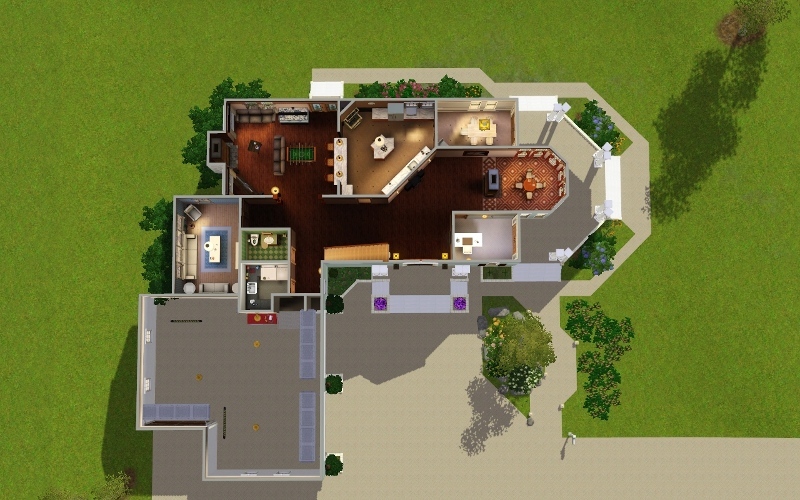 I have used no store items or any other custom content in making this house, however it requires all expansion and stuff packs (WA, HELS and Ambitions). 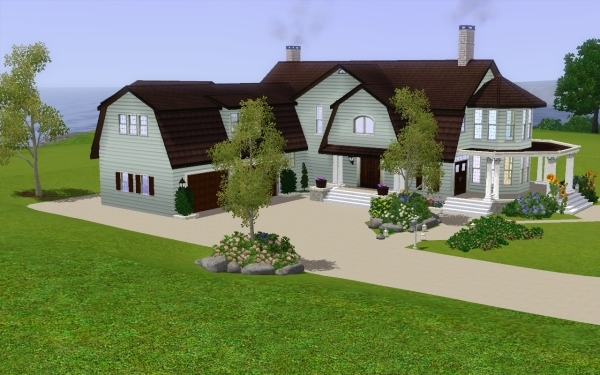 Built on two floors, it has a three-car garage, driveway, varanda, breakfast room, family room, office, laundry room, half-bath, sunroom, TV room and a large kitchen on the ground floor. The second floor has all four bedrooms, spacious landing, two en-suite bathrooms and a communal bathroom, with a huge, open attic space over the garage. As always, feedback is appreciated. I must add that you may not use this home in your worlds without express consent from myself. Clouds Cafe @Old Pier Beach, Sunset Valley - NO CC!